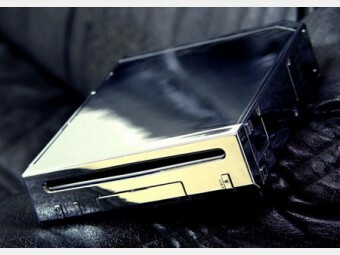 Chassi Case Mod : I-Case for Wii (Chrome) - SHOP01MEDIA - konsoltillbehör och mods, retro - allt på ett ställe! High quality full replacement shell. Includes stand and Tri-wing screwdriver.High quality full replacement shell. Includes stand and Tri-wing screwdriver.Now the Wii can look fun as well as play fun! XCM are back and bring their years of replacement case development to the mighty popular Wii. It’s perfect for those gamers who want to inject their Wii with further healthy does of fun and make their console stand out from the rest. Boasting a simple installation procedure, virtually anyone from young gamers to your Gran could install the I-Case!